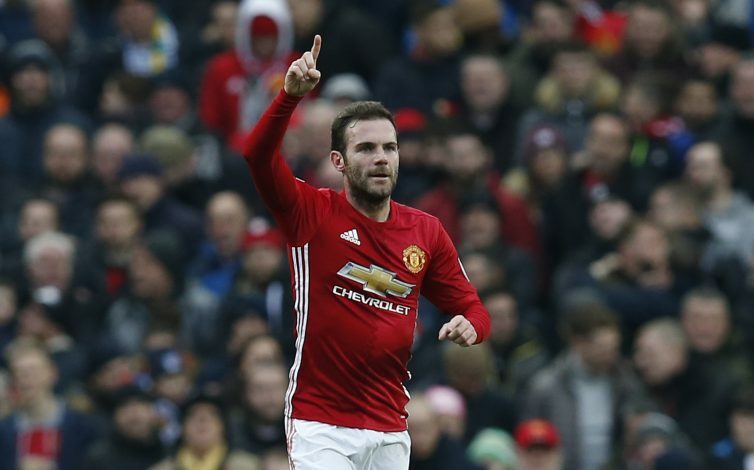 Manchester United midfielder – Juan Mata – has talked about his plans after his retirement from the sport and told Gary Lineker that he would love to present the Match Of The Day. The Spanish international, who will be turning 29 in April, has been a key element for Manchester United this season. It was touted that he would be sold in the past summer as soon as Jose Mourinho was announced as the manager of the club. But both Mourinho and Mata kept working together and right at this very moment, the former Valencia and Chelsea star is the creative hub of the team. His recent assist to Henrikh Mkhitaryan in the game against St. Etienne has earned a lot of accolades and not just that, he already has 9 goals to his name. Furthermore, he has a plenty of experience in the sport as his participation in the competitions like La Liga, Premier League, Champions League and World cup has been invaluable, hence, it can be said that he can be a good analyst. He further went on to say that, “I’m not sure, I bet if you ask football players what they want to do, some of them will tell you ‘nothing in football, I’ve been in football for so long I want to do something different. “And I kind of felt like this for a long time. But now that I’m getting older, I feel that I really like football. Juan and co. are now bracing themselves for one of the toughest encounters of the season as they will play Claude Puel’s Southampton team for the EFL title and it is fair to say that Juan might play an important role in the game.